Our day began with a devotional by Logan, the youngest member of our team, who reminded us to fear not, God will lead and provide this week. 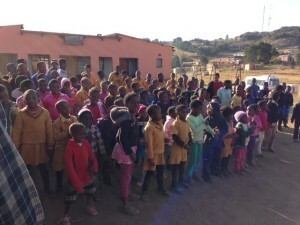 After a long day of traveling (and taking a few wrong turns), we made it to the Mpolonjeni Care Point and were welcomed by a large crowd children singing and including us in their games. Our hearts melted easily. By the way, candy and balloon animals are loved universally by children everywhere!!! Lord Jesus, I thank you for calling me to be a part of the missions team. I ask for You to cover us and help prepare our hearts and eyes for the very first culture shock we will experience today. Help us to be Your hands and feet and help us to listen so we can hear You and deliver to the people exactly what they need. Thank you for Your continued love and strength and for placing us right where You need us. Amen. The day was simply amazing! 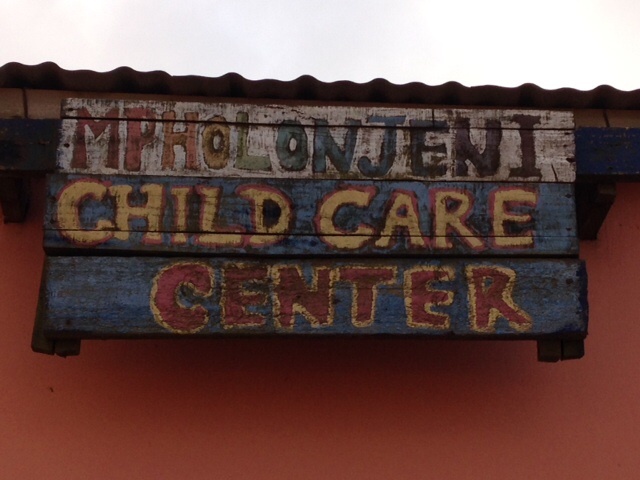 Our first care point was Mpholonjeni. Initially we got lost getting there. We went up the wrong side of the mountain. But we were able to see the township, which would be their neighborhoods. I could tell we were close because the side of the road was lined with school children walking home. I instantly got a lump on my throat and my heart sank. Some of the children looked to be as old as Urijah and Xaiver, my little ones, and they were all walking by themselves. 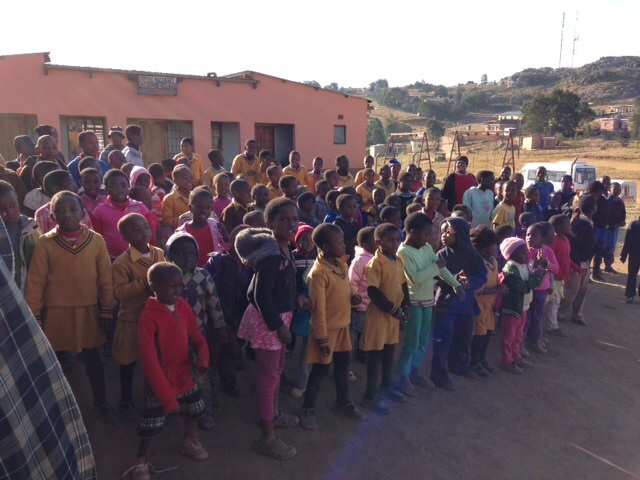 Once we arrived our greeting from the children and staff was amazing!! I stepped of the khombi (bus) I turned towards the care point, saw all these smiling faces and I immediately started crying. It was breath taking. And then when they started singing the tears tears flowed and I couldn’t stop. My heart was overflowing. They were tears of joy. These people were truly happy to us. And then we all gathered in a circle, the children, staff and our team and we played a few games. The kids LOVE candy!! They call them sweeties. They were so excited to get lined up so that each of them could receive one. I helped the precious little preschoolers and babies open theirs because they had no idea and were shoving it right in. We got to spend some free time with playing. Right before it was time to leave, there was a little baby no more than a year or two old, came up to and wanted to be held. She melted my heart and she didn’t want me to put her down. She kept leaning her cheek to mine and we rubbed noses a lot. I tried to put her down and she wasn’t having it…she clung tightly to me, which I didn’t mind. I so wanted to cry because I knew soon I’d have to let her go. Just beautiful! Praying for the team and those you come in contact with. Peace, love and joy! Ashley, Thank you for sharing these beautiful stories with us. 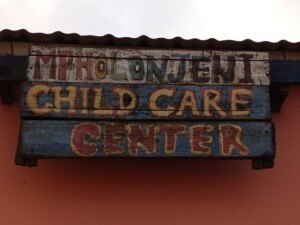 Makes us feel closer to our friends in Swaziland.